How to delete an issued invoice? How to take back an invoice which was sent? 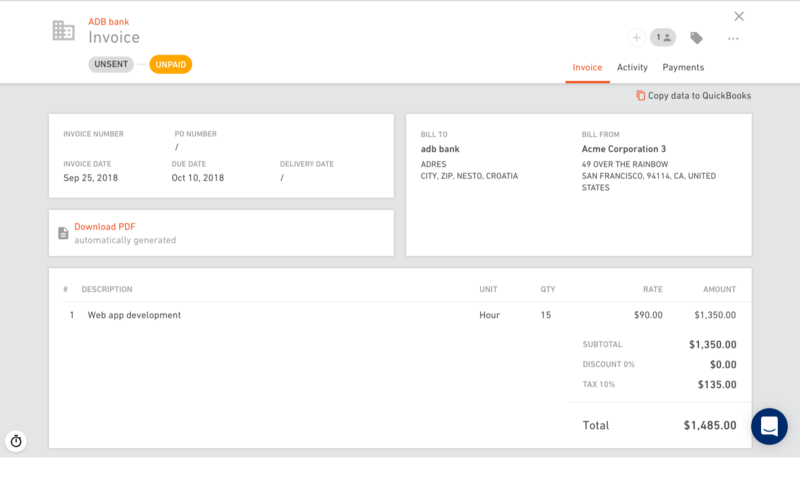 If you want to settle an invoice which was already created in Productive, you can credit the invoice. This is done manually by issuing a new invoice, a negative invoice with the same amount of money as in the original invoice. 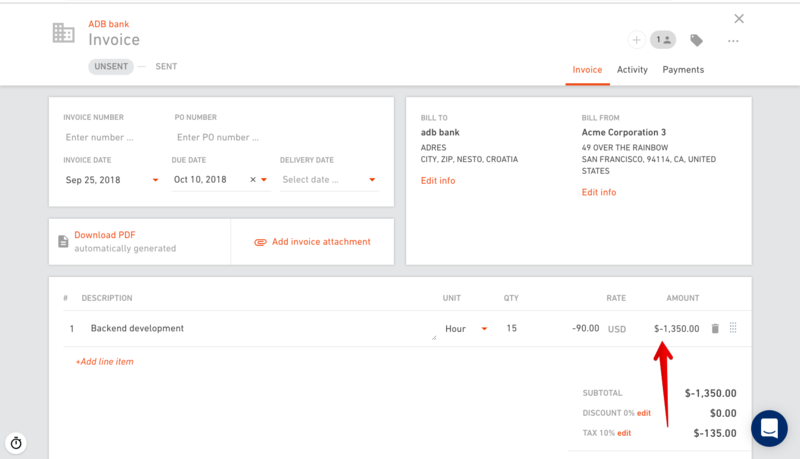 If you want to credit that invoice, create a new invoice, add a new line item on it and manually write down the same amount adding a negative prefix to it.